Heavily Textured Weave for CONTROL Gameplay The micro-textures on the surface of the Dechanic CONTROL mouse pads deliver the right amount of friction to your gaming mouse's movements. You get pixel-precise targeting for absolute in-game accuracy. The weave also provides a nice, comfortable feel under your hand minimizing fatigue over extended periods of play. CONTROL Surface Dechanic CONTROL mouse pads have rough surfaces to create a sensation of resistance to your mouse movements. This is important as the friction of the textured surface offsets the energy you exert to move the mouse, ensuring precise minute movements. CONTROL surface suits gamers who need absolute precision to hit targets exactly where they need to. Optimized for All Sensitivity Settings and Sensors Dechanic CONTROL mouse pads are carefully built with microscopic variances to track ultimate gaming mouse sensor for low sense, high sense, laser, optical or dual sensor system. It doesn't matter what your sensitivity setting is at. It can be trusted to be consistently reliable in pure game control. 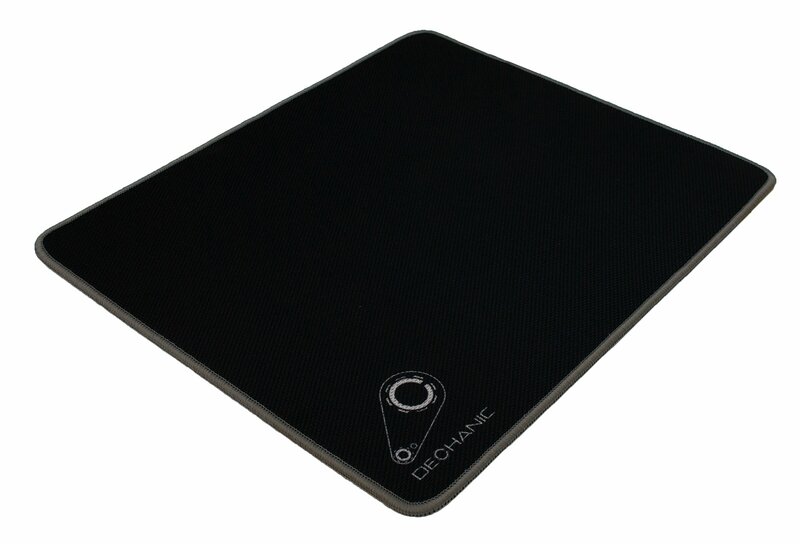 Anti-Slip Base Mouse Pad Prevent from any type of movement during the most intense gaming or working. Anti-slip rubber base is made to prevent any type of movement what so ever. Extreme Professional Stitched Edges and Machine Washable Stitching that will not fray was carefully thought and studied to prevent any type of fraying that will last. Quality over quantity is the name of the game. Professionally designed for quality mouse pad for our customers. Manufacturer Warranty 1 year from date of purchase.